Small business accounting hero Xero was back in the press this week with news the platform had selected Gusto as their preferred payroll partner in the US. The deal means Xero will be able to finally offer a full-service payroll process across the United States, once integration is completed in early 2019. A win in the US will be welcome news to the Xero management team, its shareholders and on-the-ground US believers. Unlike the Australian and NZ markets, America has been a much harder slog for the software business. It faces a strong incumbent in Intuit, while tax complexities across the country, which often vary by state, have slowed its growth relative to other regions, at similar market maturity points. To date the business has signed up 132,000 customers across the US, out of a total of 1.386 million subscribers worldwide, at March 31 this year. 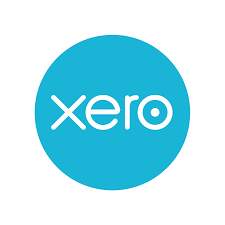 As a result of the Gusto tie up, Xero has abandoned development of its own US in-house payroll product, announcing it would write off around NZ$16.2M in sunk costs. Despite this, minor set-back, it’s been a year of positive change and continued growth for the market darling. Not only did Xero delist from the New Zealand Stock Exchange and relist on the Australian Exchange, Founder and CEO Rod Drury stepped aside in March, ushering in Steve Vamos as the new CEO. Chief Operating and Financial Officer Sankar Narayan will step down in December of this year. And while it may have ups and downs in the US market, the business remains an attractive proposition. And with additional revenues growing outside of traditional accounting subscriptions, with growth in the fintech SME market set to continue, Xero holds an envious position. Subscription revenue was up 37% in year ending 31 March 2018, compared to 2017. But other operating revenue, which includes revenue from its financial web – to which many fintech’s are connected – increased 65%, to $8.9 million. If payroll opens up the floodgates to many more customers in the US, the fintech’s won’t be far behind, which is a revenue win, on two fronts. Next Where do you go to get Insurance and Insurtech information?